1.1 How to do Rs.399 Recharge in Just Rs.200 with My Airtel App Account Account? 1.2 How to do Rs.399 Recharge in Just Rs.100 with Freecharge Account? 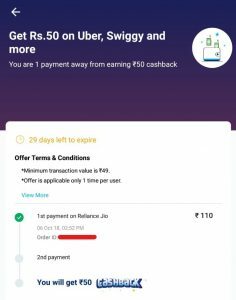 1.4 How to Get More Than 100% Cashback on Jio Recharge? Jio Recharge Offers – Coolzdeals Readers, We Hope all are enjoying My Airtel App Recharge Offer and take benefit of PhonePe Jio Offer. Subscribe to Our Coolzdeals Telegram Channel For Latest Loot Deals from Amazon and Flipkart & Latest Amazing Offers. You can recharge the Jio Rs.399 Plan in Just Rs.200 with My Airtel App Account. You have to Just Follow the Below Trick to Do Jio Recharge. I will Show you a trick of Jio Free Recharge Trick. It’s Almost 50% Off on Jio Recharge. This Offer is Only for New User on My Airtel App. 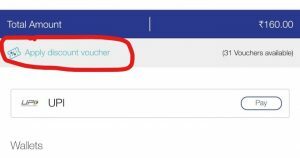 How to Use Jio Voucher to Recharge Another Number? How to do Rs.399 Recharge in Just Rs.200 with My Airtel App Account Account? 1, First of all, download My Airtel App from PlayStore. 2. Make New Account with Your Number. 3. Now Do a Mini KYC with Your Voter Id Card or Any other ID. 4. Then, Open My Airtel Wallet and Fill Details. 5. Now, Do a Recharge of Rs.200 in Your Jio SIM With My Airtel App. 6. You will Get Rs.100 Cashback in Airtel Wallet. 7. Make a New Account again and Repeat Previous Steps. 8. Again do a Recharge of Rs.200 Again in your Same Jio Number. 9. Now, Go to My Jio App and Proceed an Rs.399 Recharge. 10. Pay with Your Main Balance Account. 11. Done. You got Rs.200 Cashback on Rs.399 Recharge. How to do Rs.399 Recharge in Just Rs.100 with Freecharge Account? 1. You need 4 New Account of Freecharge. 6. Now, Visit Jio.com and Log in with Your Number. 7. Now Initiate the Recharge of Rs.399. Now, On Payment Page Choose Pay with Jio Main Account Balance. 8. Done. Now, Transfer your Freecharge Balance from Below Trick. 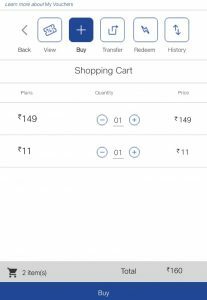 You can use Rs.50 Off Jio Coupon on Rs.98 and Rs.149 Plan with new Trick. 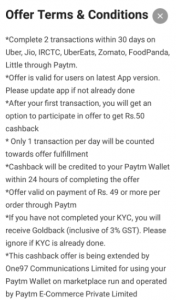 Also, You can get Rs.50 Cashback on Paytm with Cashback Offers. This is Offer, In Simple Words, You can do Two (Rs.98 + Rs.11) Recharge in Rs.68 or Two (Rs.149 + Rs.11) Recharge in Rs.170. 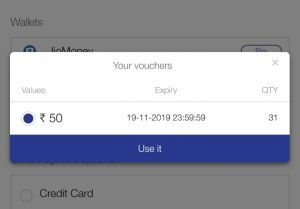 How to Get More Than 100% Cashback on Jio Recharge? First of All Open My Jio App. 2. Now, Go to My Vouchers Section. 3. Click on Buy Option, and Deselect Rs.399 Recharge. 4. Now, Select Rs.149 Recharge + Rs.11 Data Pack Recharge. 5. Click to Proceed payment. 6. On Payment Page, in Upper Side click on Apply Discount Voucher. 7. After Applying Voucher, You will see Rs.50 will be Off on Your Recharge. 8. Now, Pay with Paytm to Activate Rs.50 Cashback Offer. 9. You will get Rs.149 + Rs. Data Pack Voucher, So, Again Go to My Vouchers and Click on Redeem. 10. Now, You will get Popup on Paytm that You Will able to Get Rs.50 Cashback. 11. Go to My Cashback Offers and Activate this Offer. 12. 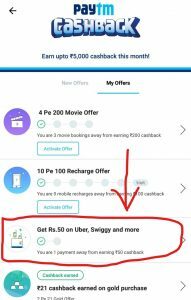 Now, Again do this Recharge and Pay with Paytm to Get Rs.50 Cashback. Not able to see any denominations of below 98 while purchasing vouchers. Which is the version of MyJioApp? Not working on my jio app.only 1 plan can ve selected on my voucher section not 2 plans.either monthly pack or either data booster.both plans cannot be added in my voucher section now.i have tried many times but failed to add both 98 and 11 plans combined.